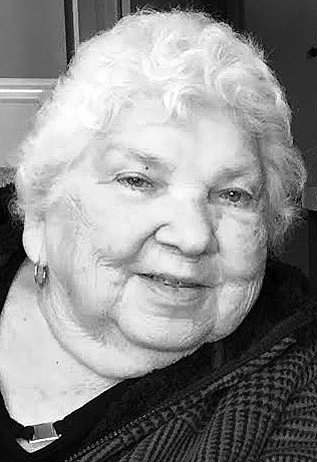 Donna E McCloskey, 79, passed away April 4, 2019, in Jacksonville, FL, where she had resided since February, 2019. Prior to February, she resided for many years in the McElhattan and Lock Haven area. Donna was born September 10, 1939, to Florence Kinney Warner. Donna was raised in Williamsport, and attended the Williamsport High school. In 1956 she married Clyde McCloskey. She and Clyde lived in McElhattan and raised five children. Donna worked for many years and retired from Woolrich Woolens in Woolrich, Pa. She was a member of the McElhattan Methodist Church. Donna was a devoted and loving mother. She was proud of her family, and proud to become affectionately known as “Nanny” and “Grammy” to nine grandchildren and 12 great grandchildren. She loved holidays and family picnics and get togethers. She was a friend to many, and was known for her kind and accepting nature. Donna was preceded in death by her mother, her husband, brothers Tom, Charlie, Butch, Darryl, and Skipper, and long time companion Ken Myers. Donna is survived by her children, Randy Sr. (Penny) McCloskey, Rebecca McCloskey, Clyde (Cheryl) McCloskey, Robert McCloskey, and Carrie (Eric) McCloskey. In addition she is survived by her grandchildren, Randy Jr. (Katy) McCloskey, Benjamin (Jessica) McCloskey, Shanna (JC) Keefer, Kristi (Chris) McCloskey, Kelli (Josh) McCloskey, Jami (Brian) Barnhart, Jordan (Sonia) McCloskey, Becca Ridgeway, and Jessica Ridgeway; also 12 great grandchildren, sisters in law, and nieces and nephews. A memorial service will be held Saturday, April 13, at 1 p.m. at the McElhattan Methodist Church. In lieu of flowers, the family suggests donations to the McElhattan Methodist Church.